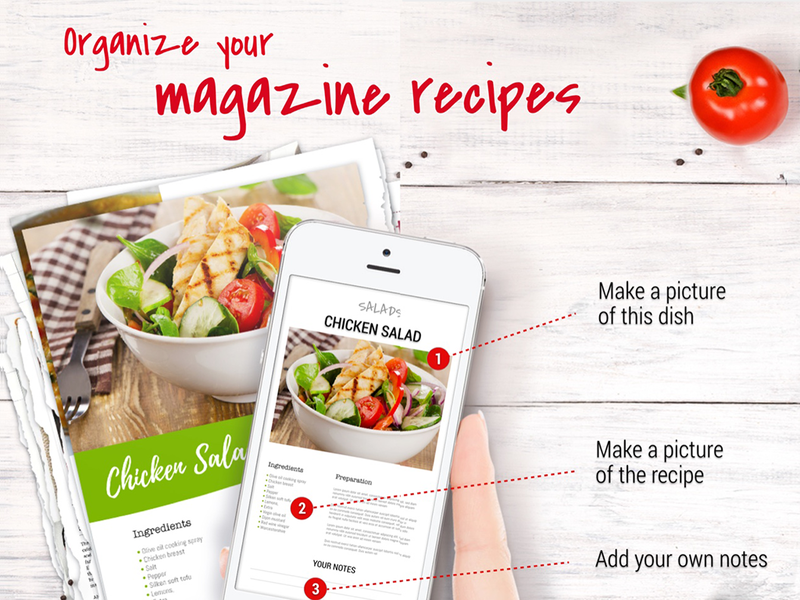 Recipe Binder is the best way to organize magazine-recipes and share them with family and friends. Create unlimited recipe categories and add recipes with your camera in no time. If you want you can also add your own notes. Available for iPhone and iPad. Start immediately, no account is needed!